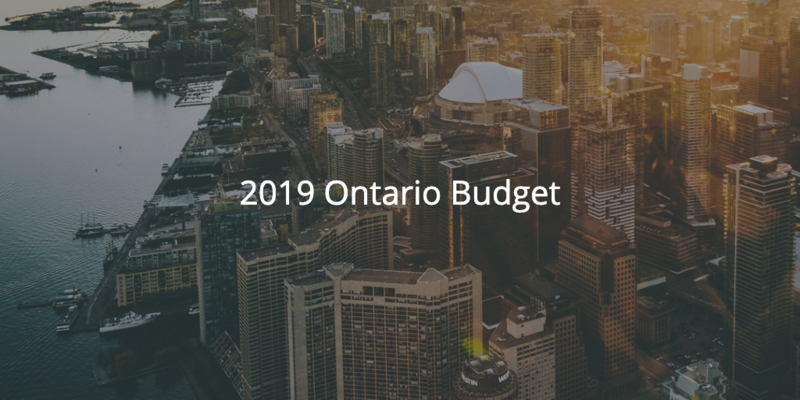 The 2019 budget for Ontario was announced by Vic Fedeli, Finance Minister, giving details of a deficit of $11.7 billion for 2018-19 and $10.3 billion for 2019-20. Below are details of the key changes in relation to personal and corporate finances. The budget did not announce changes to personal tax rates. 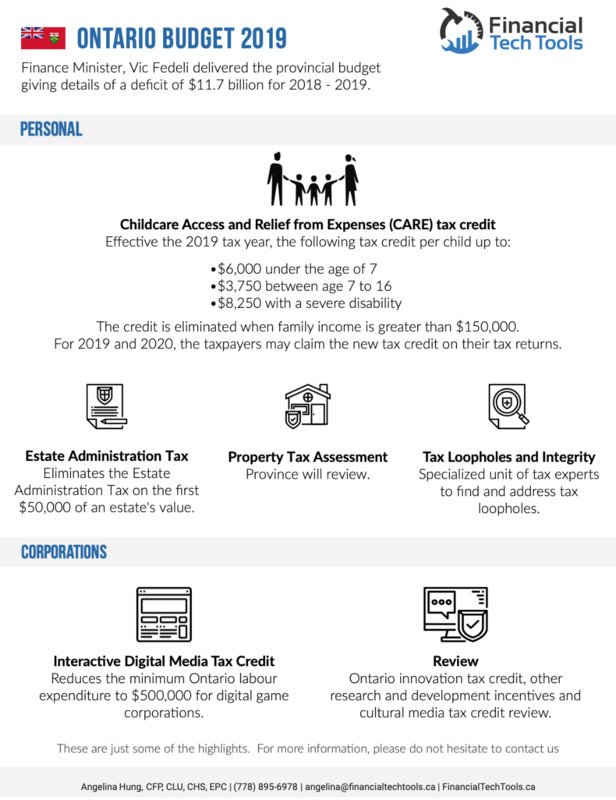 Effective the 2019 tax year, the budget introduces a new refundable Ontario Access and Relief from Expenses (CARE) personal income tax credit, beginning with the 2019 tax year. The new credit will be calculated as the amount of eligible child care expenses multiplied by the credit rate shown below. The credit is eliminated when family income is greater than $150,000. For 2019 and 2020, the taxpayers may claim the new tax credit on their tax returns. In 2021, Ontario intends to allow families to apply for regular advance payments. Effective Jan 1, 2020 the budget eliminates the Estate Administration Tax on the first $50,000 of an estate’s value and extends the filing deadline of the Estate Administration Tax Information Return with the Ministry of Finance to 180 days (from 90 days) after the receipt of an estate certificate, and extends the deadline for filing amended information returns to 60 days (from 30 days). The province will review the property tax assessment system. The province has created a specialized unit of tax experts to find and address tax loopholes and abuse. The budget did not announce changes to the provincial corporate rate. The budget will review the Ontario Innovation Tax Credit, other research and development incentives and cultural media tax credit certification process. Please don’t hesitate to contact us if you have questions about how the budget will affect you. Why does a Financial Advisor need to be on LinkedIn? Sign up for valuable information about finances & online marketing! Learn how to optimize your LinkedIn Profile. Download our free checklist. Estate Dilemmas Why does a Financial Advisor need to be on LinkedIn?